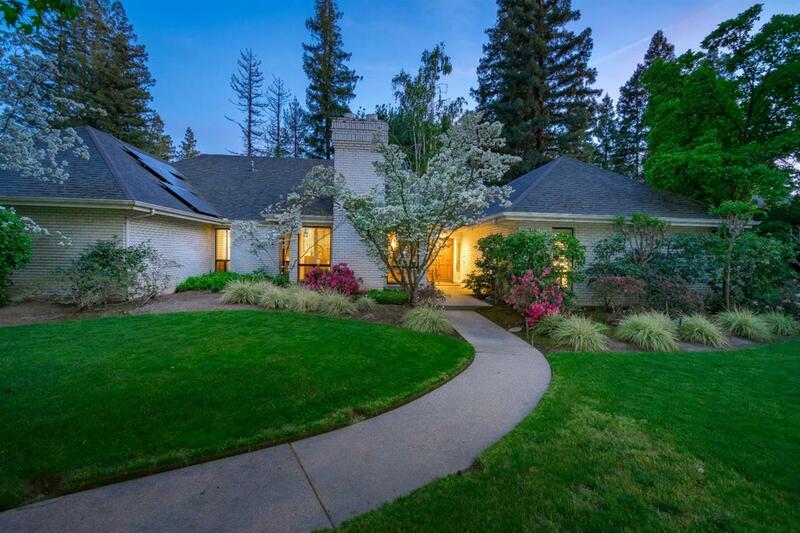 Situated in San Joaquin Estates, the perfect NW Fresno location, this Rod Deluca custom, gives the true meaning of bringing the outdoors in. A beautifully manicured lot surrounds this well planned, unique home. As you enter the open foyer, you'll be taken by the stunning, stained Bomanite flooring & expansive view to the beautifully landscaped bkyd, complete w/ pool & in-ground spa. The interior in split between 2 spacious living areas, one side features 3 bdrms, 2 bths, while the other side houses the private Master Suite, featuring an office, 2 large walk in closets, & private patio w/ Spa. 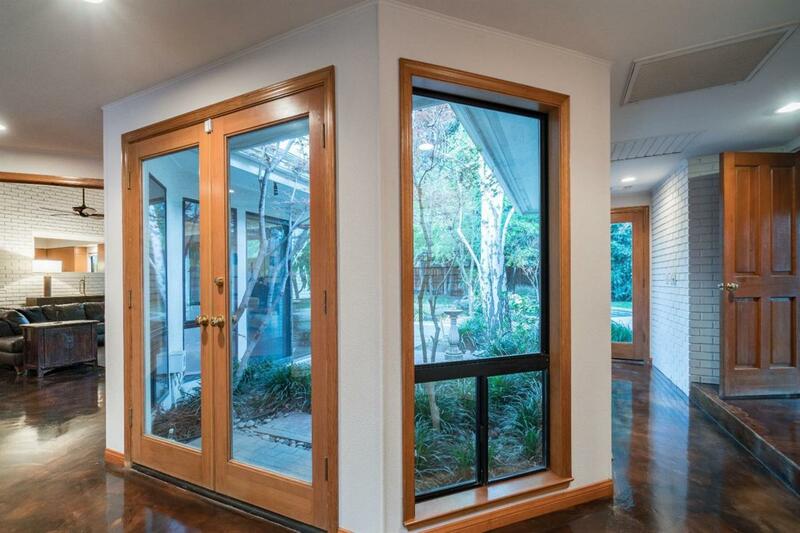 Plenty of storage was designed into this home, along w/ a separate Living Rm, Family Rm, & formal dining rm. The ktchn was perfectly designed, w/ a dinette area overlooking a private courtyard. 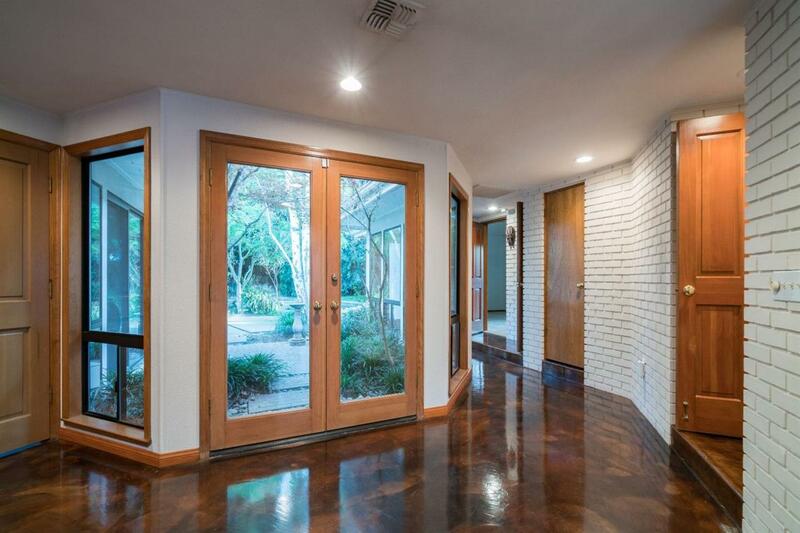 The large side entrance 2 car garage has built in storage & newly installed epoxy flooring. 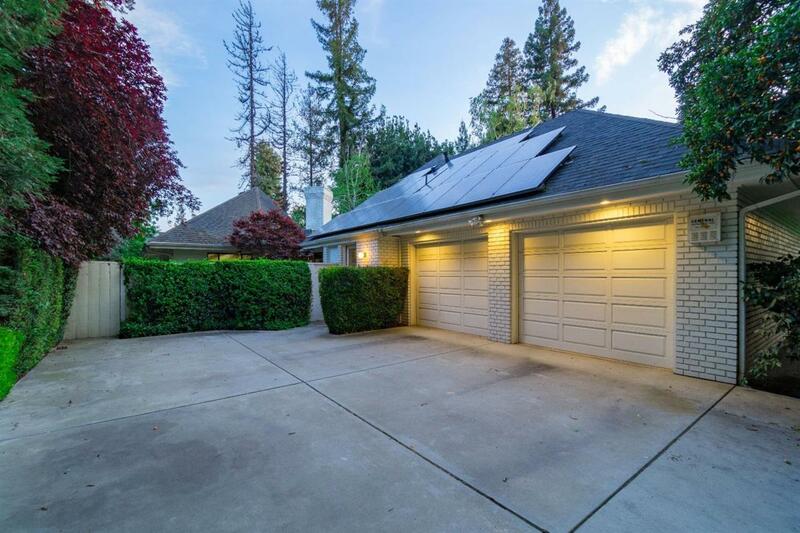 Seller owned solar, making this purchase an even better value than it already is. Make your appointment today. Listing provided courtesy of Joe Sciarrone of London Properties, Ltd..